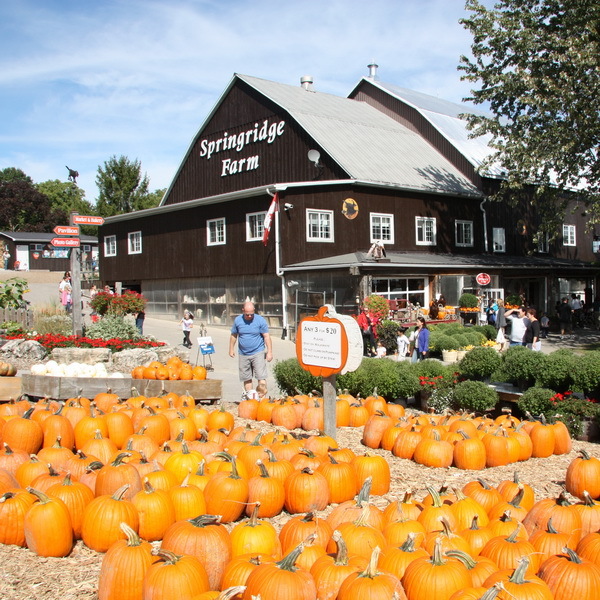 Springridge Farm offers family activities from mid-April to December. Hours 9-5. Seasonal festivals, birthday parties, school tours, gift barn, farm market, bakery, animals, Fun Farm Yard play area, giant sandbox and weekend pony rides. Directions: S OF HWY 401 ON BELL SCHOOL LINE. 4 KM W OF HWY #25 BETWEEN STEELES AVE & DERRY RD. This listing was visited 38 times this month.